Today’s top story talks about the recent approval to clear 2.000ha of forest and the impact of the resulting sediment on the reef. Of course, that’s upsetting but what I am shocked about is the method. It seems it is still considered acceptable to pull ship anchor chains between two bulldozers to clear fell the land, presumably killing pretty much everything in its path. In other news, a new Australian investment fund based on the Sustainable Development Goals, an interesting book extract on how capitalism confuses price with value, and an article on how to move to a circular economy. AUSTRALIA – When the Federal Government approved the bulldozing of nearly 2,000 hectares of forest on Cape York’s Kingvale Station this month, critics warned that the clearing would add to the sediment load running onto the Great Barrier Reef. Many said the approval undermined the Government’s $500 million budget commitment to protect the reef, and was at odds with Great Barrier Reef Marine Park Authority (GBRMPA) advice, which lists land-based run-off as a significant threat. So how does land clearing affect sediment runoff, and what implications can this have for downstream marine environments like the Great Barrier Reef? AUSTRALIA – South Australia will push ahead with a plan to install battery systems built by Elon Musk’s Tesla in 50,000 homes, with the new State Government committing to continue the pro-battery agenda of its predecessor. UK – New targets will set Scotland on course to become one of the first countries in the world to achieve a 100% reduction in carbon emissions, the Scottish government has claimed, although it has stopped short of committing to becoming carbon-neutral by 2050. The draft climate change bill, published on Thursday morning, sets a target of a 90% reduction by 2050 – which the UK Committee on Climate Change states is currently “at the limit of feasibility” – with the aim of achieving 100% reduction, or “net-zero”, as soon as possible. CANADA – Guido Rich, 28, an Inuit hunter from Rigolet, Labrador, brings his Ski-Doo to a careful stop on the sea ice, mindful of the precious cargo it hauls: the body of an 800lb male polar bear. It takes Rich and two other men to roll the animal off the sled and on to the ice, while his wife and young children watch. His sister, Natasha Pottle, who shot the bear the night before, hands her brother the plastic bags used to store liver, hair and fat samples that will be sent away for lab testing. The animal will provide valuable information for Labrador’s biologists, a small windfall for his family and meat for the community. 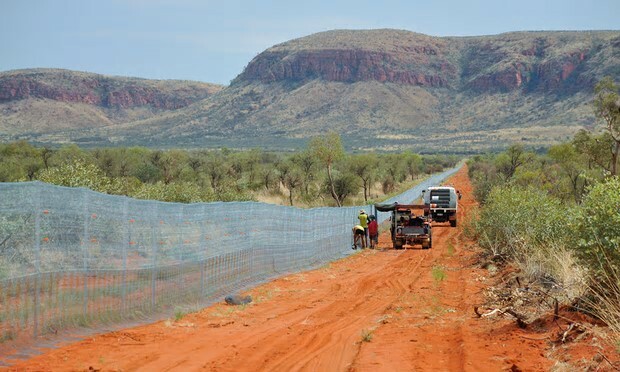 AUSTRALIA – The world’s largest cat-proof fence has been completed in central Australia, creating a 94 square kilometre sanctuary for endangered marsupials. The 44km fence – made of 85,000 pickets, 400km of wire and 130km of netting – surrounds the Newhaven wildlife sanctuary, a former cattle station that has been bought by the Australian Wildlife Conservancy. AUSTRALIA – Just like birds and mammals carrying seeds through a rainforest, green sea turtles and dugong spread the seeds of seagrass plants as they feed. Our team at James Cook University’s TropWATER Centre has uncovered a unique relationship in the seagrass meadows of the Great Barrier Reef. BRAZIL – A new study finds that illegal logging, coupled with weak state-run timber licensing systems, has led to massive timber harvesting fraud in Brazil, resulting in huge illicit harvests of Ipê trees. This process is doing major damage to the Amazon, as loggers build roads deep into forests, causing fragmentation and creating greater access. 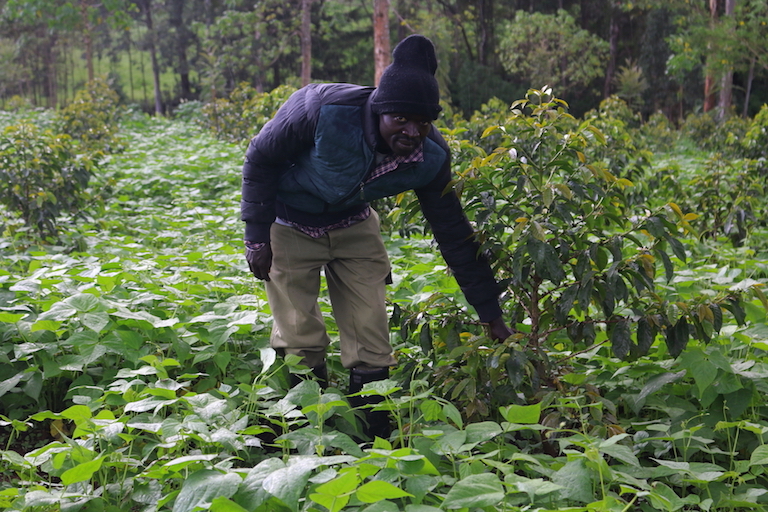 KENYA – The Cherangani people of Kenya were for generations reliant on the forest for hunting, gathering and agroforestry — a way of life that was curtailed by the colonial government.Today, Cherangani communities living on the edge of the forest have returned to their traditions, intercropping avocado, bean and coffee plants among trees that help reduce water runoff and soil erosion, and improve nutrient cycling. DEMOCRATIC REPUBLIC OF CONGO – A major forest protection scheme in the Democratic Republic of Congo is in turmoil, amid a standoff between the country’s environment ministry and international donors. Environment minister Amy Ambatobe has awarded three forestry concessions to Chinese companies and started a process to allocate 14 more. This would open an area of rainforest the size of Belgium to industrial logging, with a major impact on the climate. Wildlife rangers are facing numerous psychological pressures leading to potentially serious mental health implications. Rangers tackling wildlife crime and defending natural habitats in parts of Africa and Asia are frequently subjected to violent confrontations inside and outside their work. Many rangers see their families as little as once a year, causing immense stress to personal relationships. There is currently very little awareness of the mental strain placed on rangers, and a dearth of research into the potential mental health issues they face. Debates about unsustainable growth have become louder, with concerns not only about the rate of growth but also its direction. Recipes for serious reforms of this ‘dysfunctional’ system include making the financial sector more focused on long-run investments; changing the governance structures of corporations so they are less focussed on their share prices and quarterly returns; taxing quick speculative trades more heavily; legally and curbing the excesses of executive pay. AUSTRALIA – Elaine Prior, the highly regarded former ESG analyst with Citigroup, and Mark Lyster, who has also forged a well-regarded track record in sustainability, have been appointed advisers to a new Australian-based investment fund that will aim to abide by the principles of the UN Sustainable Development Goals. The Alphinity Sustainable Share Fund fund will be small to start – around $25 million to date – but its managers hope it will reach greater heights. Lonsec has given the fund a “highly recommended” rating because of its “boutique” ownership structure and combination of quantitative and fundamental analysis in its investment philosophy, a statement from Alphinity said. Banks are connected to every part of the economy through their investing and lending activities. That means they play a crucial role in financing the transition to a low-carbon economy. The financial sector is increasingly aware of the need to shift capital flows away from companies and activities that contribute to the climate problem and into climate solutions. However, they are just getting started in thinking through and strategizing on how best to respond—and tracking the climate progress of financial institutions has proven notoriously challenging. Are banks moving their financing in the right direction? It’s a very tough question to answer. AUSTRALIA – There’s more than 100,000 jobs and $50 billion in economic activity up for grabs if a “Lithium Valley” is set up in Western Australia, according to Curtin University’s Professor Peter Newman, one of the authors behind a new report calling for the state to become a battery manufacture and technology leader. German battery giant sonnen has won key backing from global oil major Shell, after the latter’s venture capital arm Shell Ventures led a $A95 million fund raising round for the battery maker. Sonnen said on Wednesday that it had closed the successful financing round of €60 million, the proceeds of which would go towards expanding the company’s strategy of rapid international growth and to further enhance its pioneering position as the “utility of the future”. Humanity has a waste problem. Globally, we generate about 1.3 billion tons of trash per year, far more than we can properly process or recycle. This leads to environmental tragedies like ocean plastic pollution and geopolitical tensions as Western countries search for new places to stash their trash. Because we waste so much, we must extract unsustainable quantities of natural resources to keep pace with growing consumption. How did we get here? In short, most of our global economy is designed for linearity—take, make, waste—rather than circularity. To create a truly circular economy, the world must overcome the following five barriers. Violent conflict is surging after decades of relative decline. Deaths in war, refugee numbers, military spending and terrorist incidents have all reached historic highs in recent years, according to a new United Nations and World Bank study. EU – Lawyers acting for a group including a French lavender farmer and members of the indigenous Sami community in Sweden have launched legal action against the EU’s institutions for failing to adequately protect them against climate change. A case is being pursued in the Luxembourg-based general court, Europe’s second highest, against the European parliament and the council of the European Union for allowing overly high greenhouse gas emissions to continue until 2030. 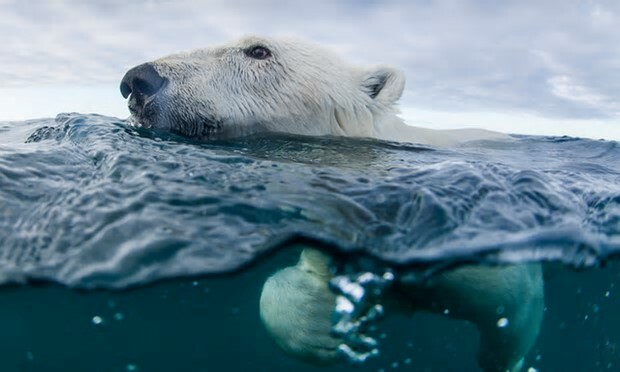 USA – White House officials last year weighed whether to simply “ignore” climate studies produced by government scientists or to instead develop “a coherent, fact-based message about climate science,” according to a memo obtained by The Washington Post. The document, drafted Sept. 18 by Michael Catanzaro, President Trump’s special assistant for domestic energy and environmental policy at the time, highlights the dilemma the administration has faced over climate change since Trump took office. Even as Trump’s deputies have worked methodically to uproot policies aimed at curbing the nation’s carbon output, the administration’s agencies continue to produce reports showing that climate change is happening, is human-driven and is a threat to the United States. It’s climate change….just presented very, very differently. 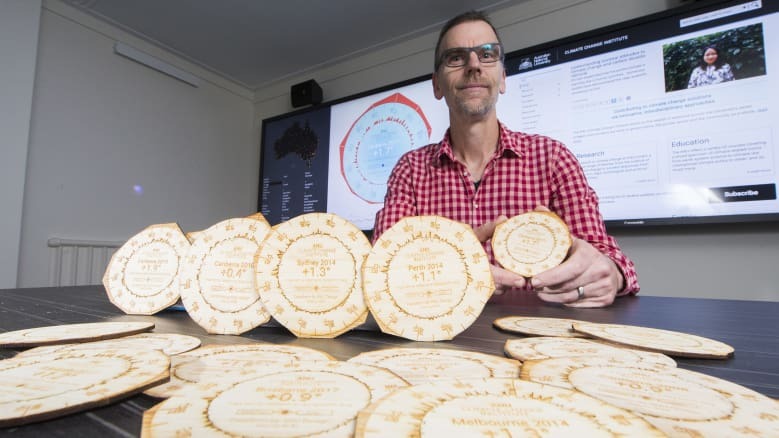 Rather than the usual graphs and pie charts, the Australian National University is presenting climate data in the form of beer coasters and even bracelets. The gadgets have proved so popular that a website has been launched visualising climate change data from 112 locations around Australia to help people get their head around the topic. Putting climate data into a tangible form was originally the work of researchers Dr Mitchell Whitelaw and Dr Geoff Hinchcliffe from the ANU School of Art and Design. Dr Geoff Hinchcliffe from the ANU School of Art and Design with coasters made from laser cut wood showing the climate shift for an Australian city. NEW ZEALAND – Better planning, resourcing, and leadership have been urgently called for by a top-level panel helping New Zealand prepare for a warmer, wetter and wilder future. Months after it declared New Zealand didn’t have a strategy to adapt to the effects of a transformed atmosphere, the Climate Change Adaptation Technical Working Group today released 21 major recommendations as a starting point. UK – Michael Gove, the enviroment secretary, responds to a Guardian editorial on his clean air strategy with a letter to the Guardian.